We provided grants directly to carers of adults who live in Highland to access their own, personalised respite break. 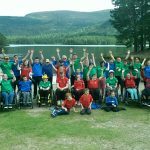 We provided social and recreational activities for children and young people with multiple support needs, who live across Ross-shire and Sutherland. This enabled our children and young people to develop friendships, independence and participate in many different activities, while their carers had time for themselves. SNAP provided short breaks of 6 hours at weekends and weekend breaks of 48 and 28 hours to young people aged 5 to 20 years with substantial support needs. 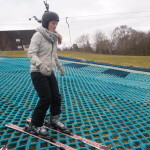 This allowed the young people to increase their social skills, have fun with their friends and try new activities, while their parents and carers had time to themselves. Able2Sail provided sailing opportunities for half & whole day weekend on a modified yacht & motor cruiser for people affected by disability. We provide dinghy and powerboat training which leads to RYA certification for our Youth Forum. We liaised with partners to prioritise young people with most complex needs. The Highland Cycle Ability Centre provided a safe, tranquil, traffic-free environment for people of all abilities to cycle. Individuals as well as groups of young people with Autism Spectrum Disorder utilised the facilities with staff members on hand to encourage, accompany and/or teach the young people as appropriate. 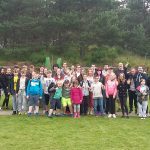 We organised short outdoor activity breaks for young people with social communication difficulties from Highland. Activities ranged from a few hours to overnight and weekend stays and included a variety of activities such as biking, badminton, horse riding, gorgewalking. 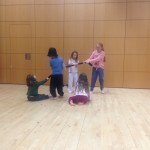 We provided weekly creative dance and movement sessions for young people with multiple support needs, whilst their parents or carers have time to themselves or to spend with other family members and friends.